My name is Reina Katsumata, I am 13 years old in Year 9 at Trinity Lutheran College where I have attended since prep. I started learning the violin when I was 7 years old, my teacher is Mrs Diana Battocchio. I play in the school orchestra and quartet as well as being a soloist, I have performed in many Eisteddfod’s and concerts including the Redlands, Gold Coast and Somerset competitions. 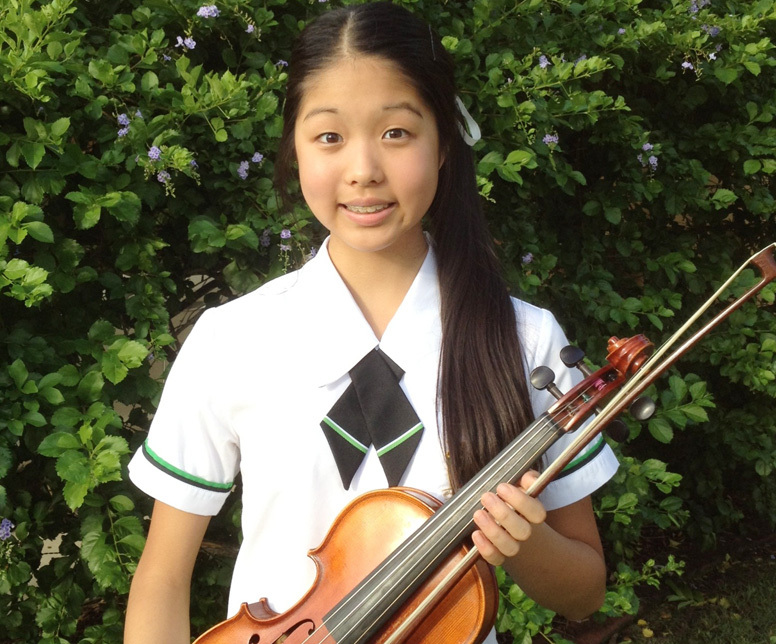 Recently I received 2nd place in the Gold Coast Eisteddfod’s and an A+ in my AMEB violin 7th Grade exam, which I took at the end of last year. I am really grateful that I have been given this wonderful opportunity to perform with the Gold Coast Philharmonic Orchestra. Playing the violin is a huge part of my life and I believe that being able to play music is something I will treasure for ever.